Past Perfect: What Happened First? Here’s a good place to practice the past perfect. Why Do People Like Scary Stories? All cultures have scary stories and movies. Why do people enjoy being frightened? Here’s a very scary animation based on a story by the famous American writer, Edgar Allen Poe. Poe wrote many stories and poems about scary things. This story is told through the mind of a mad person. Why does that make the story even more frightening? Here’s an even scarier version. How are they different? Which do you like better? Why? Don’t know what “soil” is? A “rookie”? A dipthong? Use your dictionary! Each card in this set contains a subject and a predicate. 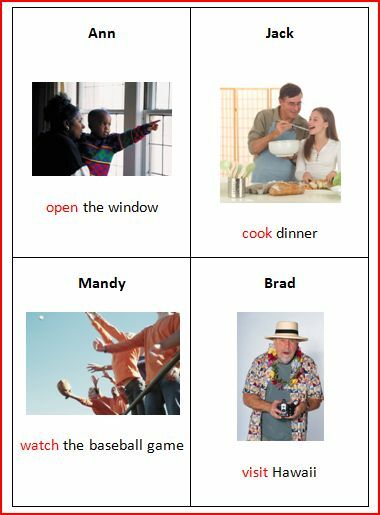 My class will be work in small groups, practicing the present perfect. 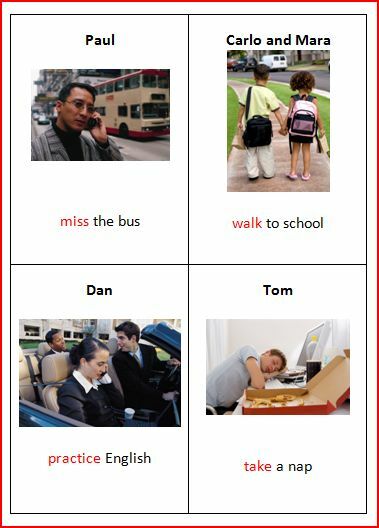 One student will ask a question of the others in his group, using the present perfect. Has Amy written a letter yet?. The next student will answer, Yes, Amy has already written a letter. The next student will answer, No, Amy hasn’t written a letter yet. These cards can be adapted to many levels. I also have used them with dice, the six sides of the die each representing a tense. 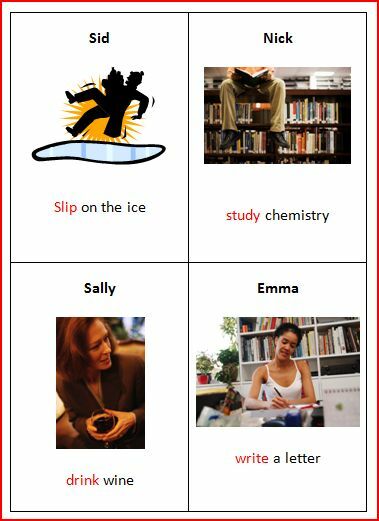 If the students rolls a four,” for example, she might have to express the card in the present progressive tense. Amy is writing a letter. To make the exercise even more challenging, another student may be assigned to say whether the sentence is expressed as a statement, a question, a negative statement or a negative question! +, -, ? 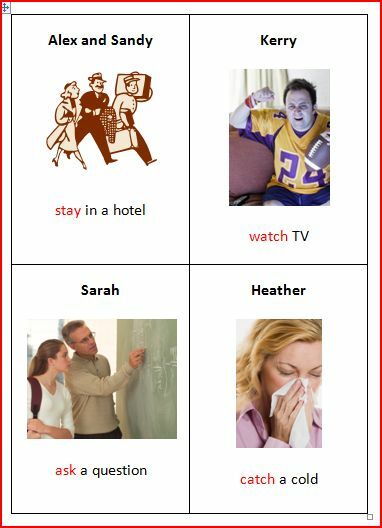 Present Perfect: The Scariest Tense of All! 1. When something happened very recently. I’ve lost my keys! Help me find them, please. 3. When something happened in the past, but the particular time isn’t important. She’s already finished her homework. (Did she finish it last night or last week? It doesn’t matter.) Have you ever been late for work? 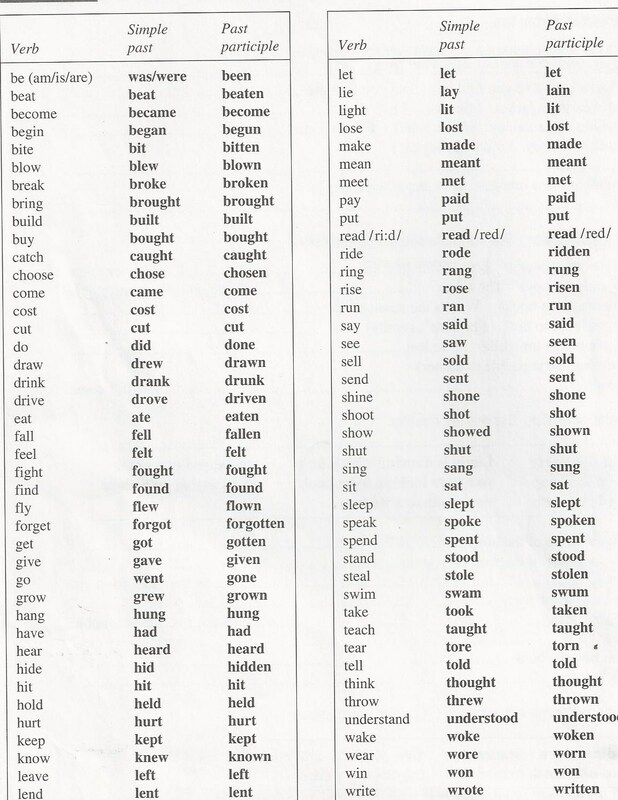 Listen to these irregular past participles. 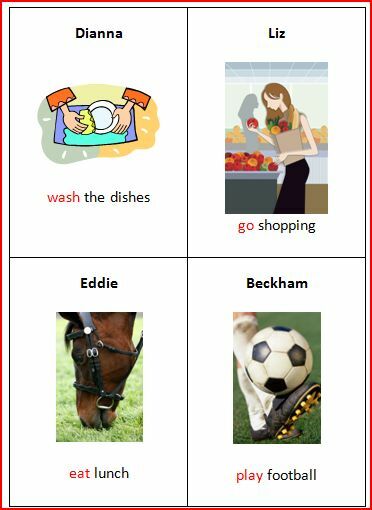 You will hear me use the contractions “I’ve,” “they’ve,” “he’s” and “she’s.” Of course, it is correct to say “he has” instead of “he’s,” but the more contractions you use, the more you will sound like a native speaker. And you must be able to understand contractions when you hear them because we use them so often. If It’s More Than One, It’s a Plural.